VicoVR is a game changing Bluetooth accessory that provides wireless motion tracking capabilities to Android and iOS ecosystems. 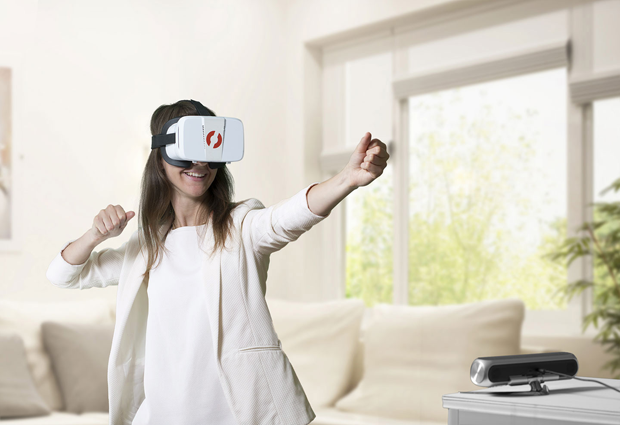 VicoVR’s gaming system enhances Mobile VR gaming with familiar body tracking technology leaving no need for a PC, wires, or wearable sensors! 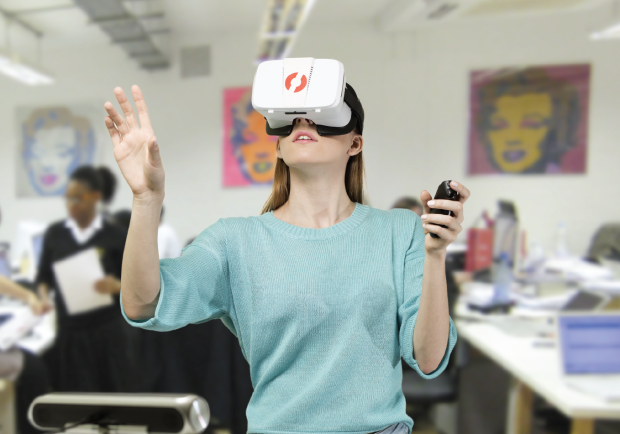 When wirelessly paired with Mobile VR headsets such as Samsung Gear VR or Google Cardboard, VicoVR enables HMD Positional Tracking and Full Body Tracking capabilities. 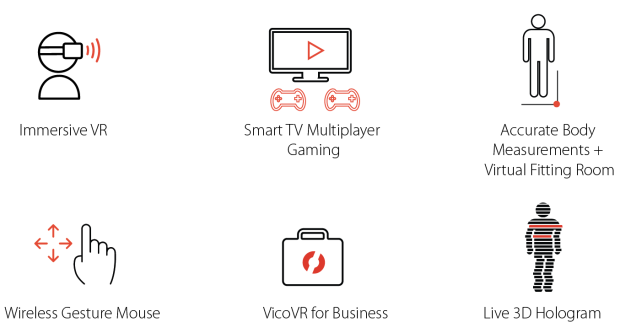 You can also use VicoVR to pair with new generation of gaming platforms such as Android TV, AppleTV, and Android game consoles. The VicoVR gaming system truly allows you to move freely within mobile gaming worlds! VicoVR already has some exciting Android VR applications developed by 3DiVi and third party developers. We are happy to share that several other apps are under development! At the time of shipment we expect more than ten finished Android applications will be available for free to all our backers. Check out our games below! 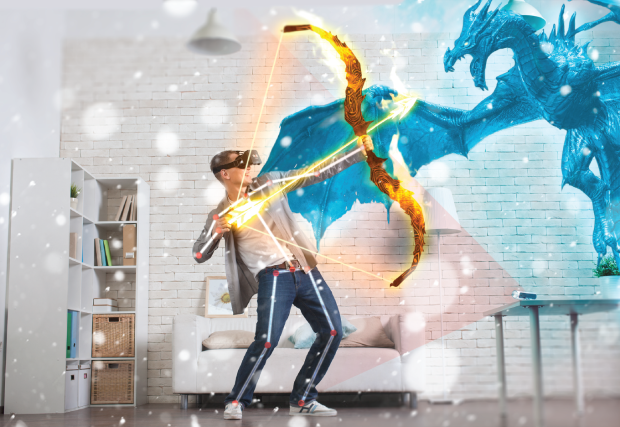 Archery Range 3D: Hit the static and dynamic targets by pulling a virtual archery string with your hands 100% wirelessly. 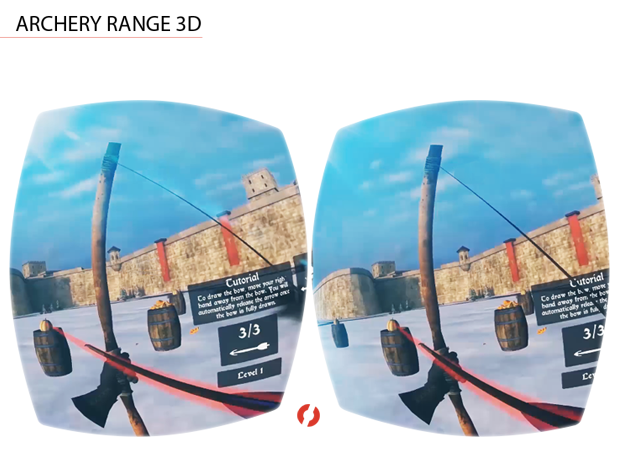 Archery Range 3D features 50 levels and supports two modes – Gestures in VR and Standard Touch Control. In these modes you can play Archery Range 3D using your smartphone or tablet! 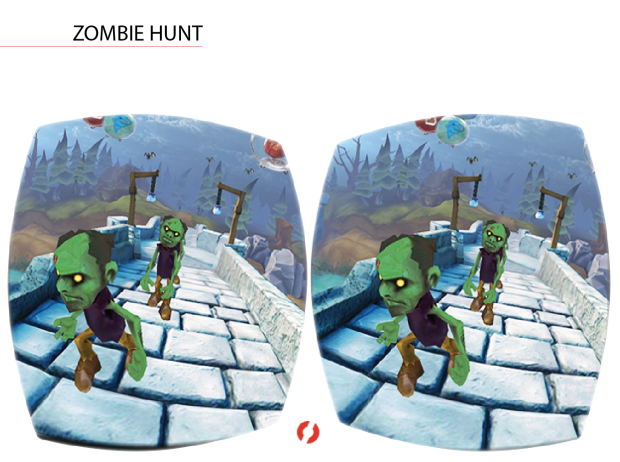 The game is compatible with Google Cardboard and will be available on Google Play. 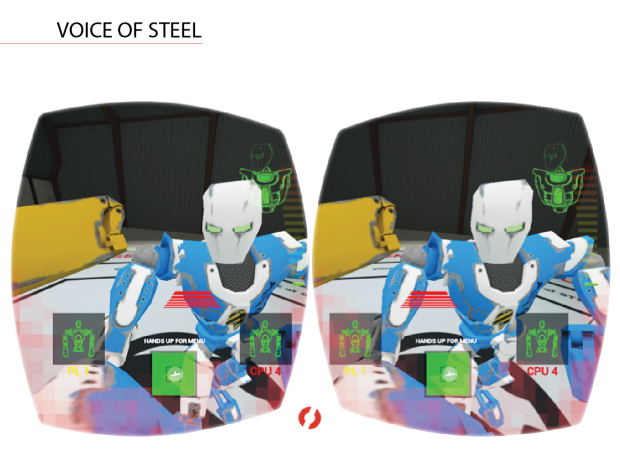 Voice of Steel: Voice of Steel is a gesture controlled, physics-based robot fighting VR simulator. The game is compatible with Google Cardboard and will be available on Google Play. 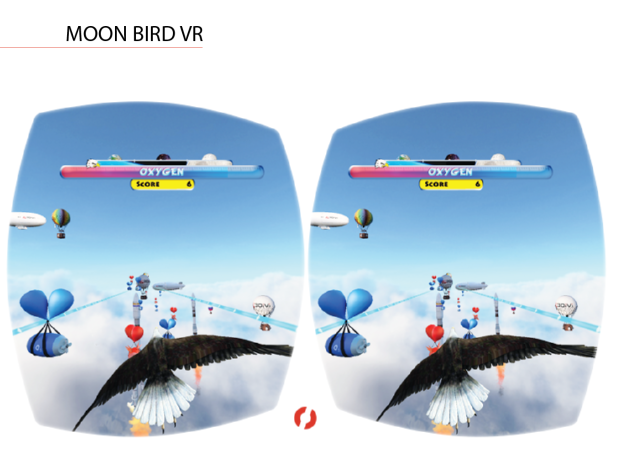 Moon Bird VR: Fly across virtual cosmic galaxies by transforming into a VR bird! By flapping your wings you can explore virtual reality and enjoy the picturesque scenery of distant planets. Control your flight with body tilts and flapping your wings to catch as much air balloons possible to maintain air supply. Box Fighter: Ready for a workout? Train on the punching dummy with your bare hands, master new punches and dodges. 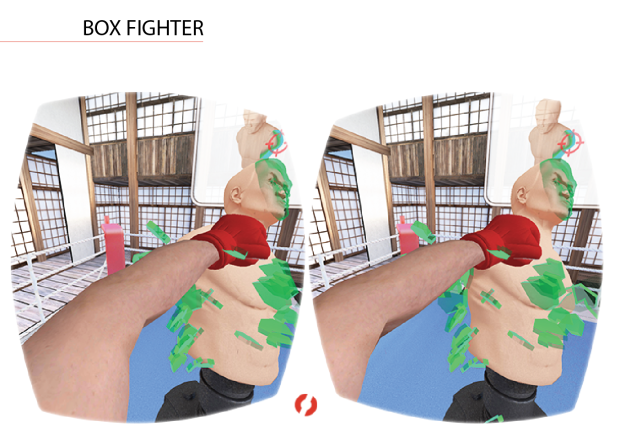 Boxer Fighter has two modes – Player (first person view for VR headset) and Viewer (side view that can be watched from separate Android device such as TV, tablet, or smartphone).The game is compatible with Google Cardboard and will be available on Google Play. Little Farmer: Little Farmer place you at a chicken farm and your job is to catch falling eggs with a singular basket. As more eggs come your way, it becomes increasingly tricky. 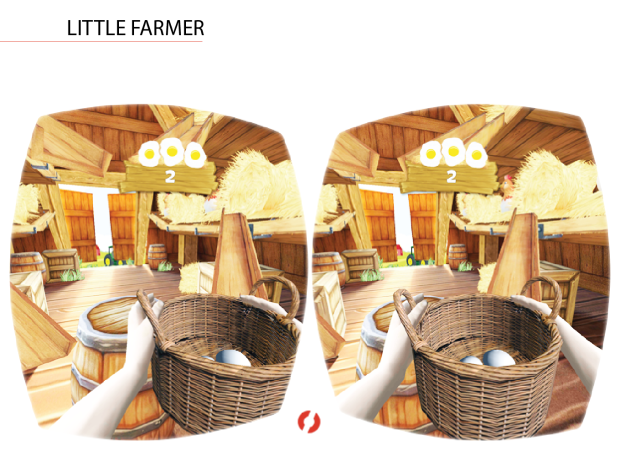 Little Farmer is compatible with Google Cardboard and will be available on Google Play. 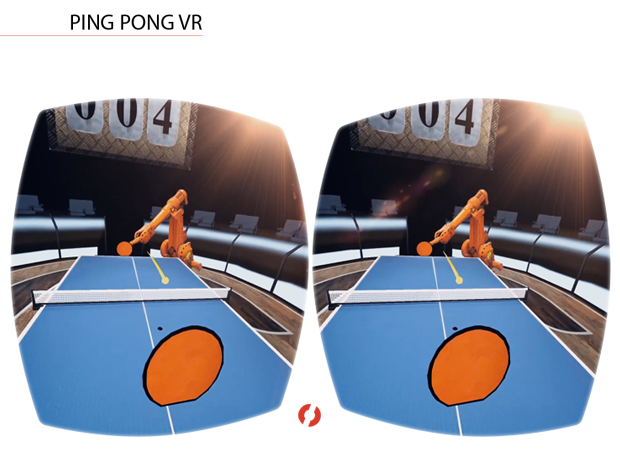 Ping Pong VR: Play ping pong with your hands against a tennis robot! This game is compatible with Google Cardboard and will be available on Google Play. Zombies Hunt: Fight off the undead with our Zombie VR game! Keep your right hand equipped with a weapon and use your left hand to cast spells. This game is compatible with Google Cardboard and will be available on Google Play. The VicoVR sensor is a self-sufficient peripheral device, enabling a completely untethered experience without need for PC, wires or wearable sensors. VicoVR is a revolutionary Bluetooth peripheral for Mobile VR headsets. Thanks to its proprietary 3D vision based processing unit, VicoVR detects precise 3D coordinates of 19 body joints for each user presented in Field-of-View of the sensor. This data is then sent wirelessly – with minimal latency – to any Android or iOS HMD. VicoVR is unique as it works without any PC, wires, or wearable sensors. 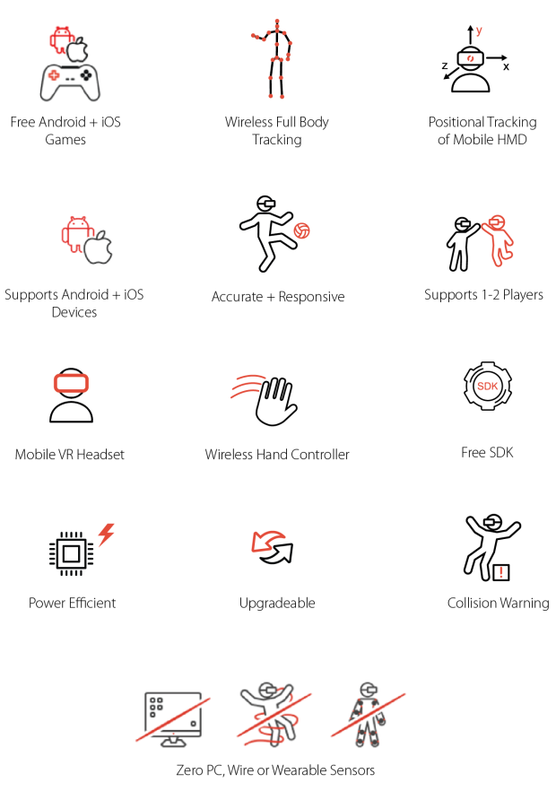 Best of all: these features do not consume processing power of your Mobile HMD – all processing is done inside VicoVR! VicoVR solves one of the key problems of Mobile VR – the lack of HMD Positional Tracking. As mobile HMDs become increasingly popular for VR applications, they also become more powerful with better displays and better internal sensors for gaze tracking. However, they lack the ability to locate themselves in 3D spaces- this is what’s known as Positional Tracking. Without Positional Tracking users are limited in the types of VR applications, meaning they lack the ability to move freely in VR worlds. Only pricey, wired, and PC based systems like HTC Vive and Oculus offer this more advanced feature. The good news? 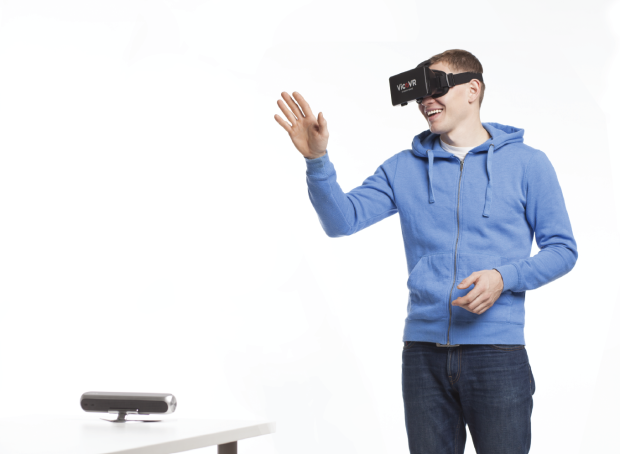 VicoVR enables Positional Tracking for Mobile VR headsets – without a PC, wires, or any additional wearable sensors! VicoVR is a Bluetooth accessory that can be easily paired with Android or iOS devices (Gear VR, Google Cardboard, and others). For pairing, simply download the VicoVR app. This same app serves as a catalog of games! Currently, our app is compatible with Android devices. At the time of shipping we plan to publish the VicoVR app for iOS. The key ingredient of VicoVR is the industry leading Full Body Tracking software developed by 3DiVi! We are constantly working to improve quality of our body tracking software. VicoVR processes depth input inside the sensor and recognizes 19 body joints of two people in real time. VicoVR also works for standing and sitting (half body) poses! VicoVR’s headset is one of the most comfortable and versatile Mobile VR headsets on the market. Our headset supports Android and iOS smartphones 4 to 6 inches and features high quality lenses, a convenient and reliable locking mechanism, and can adjust to different eye features. If you already have your own headset- that’s great! You can use any Android or iOS headset with VicoVR. Our wireless hand controller is perfect for performing simple UI control and navigation tasks (e.g. “confirm” command). While VicoVR is perfect for immersive full body and headset positional tracking, our Wireless Hand Controller comes in handy when fighting zombies or playing ping pong! We provide plugins for Unity3D and UE4, as well as samples and documentation for developers. Developers can now easily create Android and iOS applications with full body interactivity for Google Cardboard, Samsung Gear VR, iPhone VR. Embedded software found in VicoVR is highly optimized and requires moderate ARM chipset for processing. This means that VicoVR is less expensive and consumes 10 times less energy than solutions based on Kinect+Windows PC. 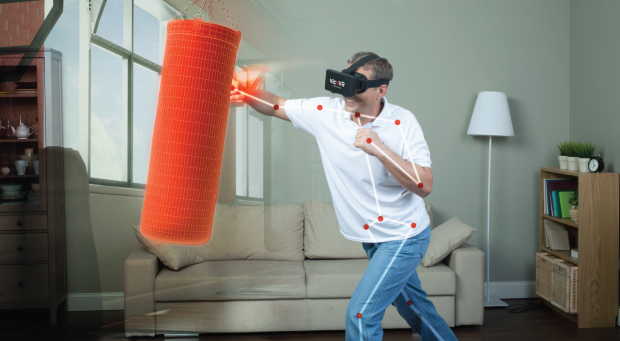 The key ingredient of VicoVR is our proprietary Body Tracking software. We work continuously to improve accuracy, the performance of our algorithms, and to develop new features for VicoVR, such as 3D scanning. VicoVR is designed to be easily upgradable with over-the-air software upgrades, using Android (or, later, iOS) application. To avoid collision with objects & people, VicoVR may warn users when they’re exiting a safe zone. It’s a great feature that keeps gaming uninterrupted and all players safe! VicoVR supports tracking for sitting (upper half body) and standing (full body tracking) positions and is the only controller that tracks your legs! VicoVR works beyond VR! As a Bluetooth accessory it can be paired simultaneously with other Smart devices – such as Apple TV, Android TV and the like. With VicoVR it’s possible to play in VR against your friends playing on TV! The depth sensing module of VicoVR is capable of capturing the accurate measurements of objects. This feature may be used for 3D scanning allowing users to take measurements (scans) of their bodies and try clothes on in virtual fitting rooms. This feature may be implemented by developers using VicoVR SDK. VicoVR goes beyond gaming and can be used for numerous businesses purposes! Our Sensor is great for Virtual showrooms as it enables positional tracking for Mobile HMD, allowing users to walk around freely. A few other great uses for VicoVR include: Digital Signage (for interactivity and analytics), Security, Smart Home (presence detection), Medical Rehabilitation, and Training Simulations. Another great thing about VicoVR is it has the ability to lower business owners’ costs. VicoVR lowers cost of ownership as our system operates with less expensive hardware and consumes 10 times less energy. VicoVR is capable of capturing point clouds representing people in real time and wirelessly sending this data to any Android/iOS device. With this feature users can create and project their live 3D hologram across Virtual environments! Unlike our competitors’ SDK – which requires a bulky external gaming device or PC for middleware processing – our proprietary middleware is executed inside the Sensor’s embedded processing unit. VicoVR’s refined processing results – such as real time user skeletal tracking data, and gestures – are sent by Bluetooth to any compatible headset device. 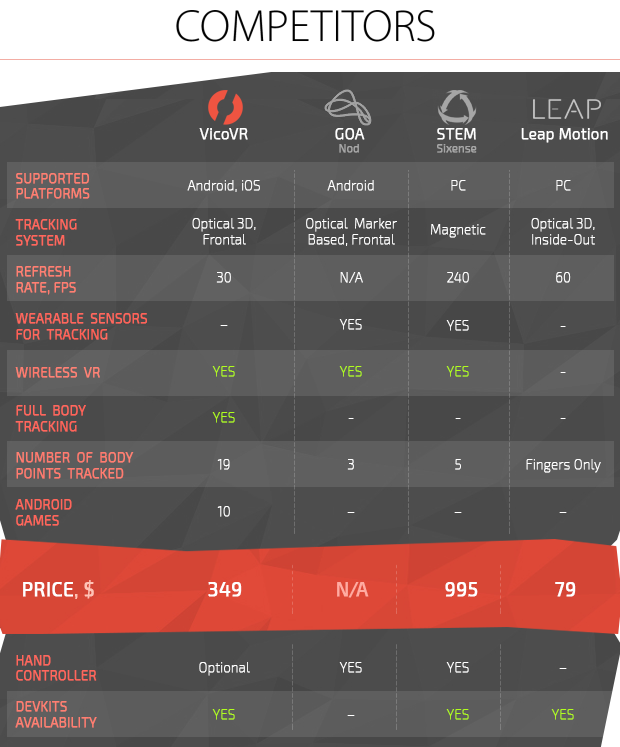 The VicoVR team is proud to be the first and only company to eliminate the need for an external gaming device or PC while providing full body tracking SDK for both Android and iOS ecosystems. 3DiVi Inc. was started five years ago with the idea to bring 3D gesture recognition technology to emerging computer platforms. By assembling the brilliant team of computer vision engineers, we created a state of the art 3D body tracking software. Our developments happened just in time for the emergence of the Mobile VR market. Our team found 3D Full Body Tracking was capable of solving key problems in Mobile VR. We identified the lack of positional tracking of Mobile headset and the lack of body interactivity to be two of the biggest issues. Our team believed the sensor should work wirelessly- without a PC- meaning the sensor should have its own embedded processing capability. This belief is how VicoVR was born. During the last year we’ve evolved from a duct-tape prototype to a validated prototype that’s ready for mass production. The VicoVR prototype has already been assembled in small quantities and shipped to Android VR developers. More than ten Android VR apps are ready for VicoVR and we’ve had successful demos at VRLA2016, CES2016, and MWC2015. VicoVR is literally a game changing peripheral device with a total addressable market (TAM) of over two billion Android and iOS devices! Our team deeply believes this is the beginning of a great chapter in full body presence within the Mobile VR world. To grow in sync with the Mobile VR industry, we look forward to working endlessly to evolve the capabilities of VicoVR via software updates. VicoVR’s breakthrough in accuracy, stability, and latency of body tracking has resulted in a virtual reality gaming system unlike any other. 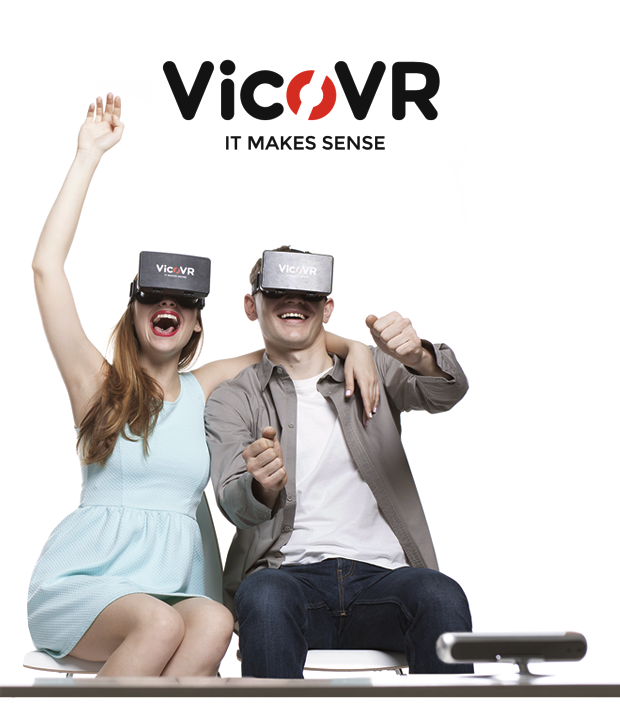 With VicoVR, virtual truly becomes reality. We cannot wait to share this gaming reality with our backers. 3DiVi Inc. is headquatered in San Francisco and has a R&D office in Russia. A: VicoVR sensor is a Bluetooth peripheral that brings wireless Kinect-like motion tracking capability to Android and iOS ecosystems – without a PC, wires, or wearable sensors! When wirelessly paired with Mobile VR headsets such as Samsung GearVR or Google Cardboard, VicoVR enables HMD-positional-tracking and full-body-tracking capabilities. 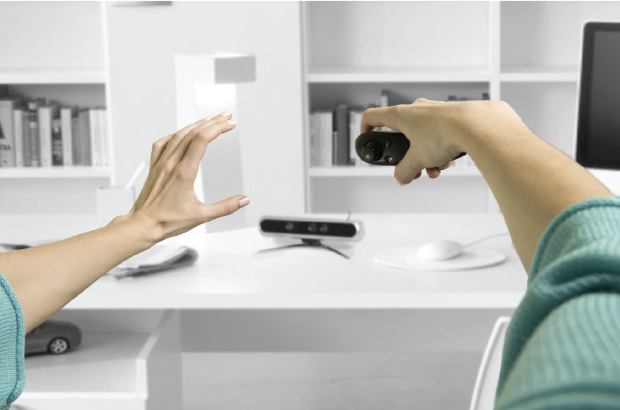 When wirelessly paired with the new generation of gaming platforms such as AndroidTV, AppleTV, or an Android game console, VicoVR enhances mobile gaming with familiar Kinect-like body tracking. Q: Is VicoVR Sensor similar to Microsoft Kinect? A: Yes and no. 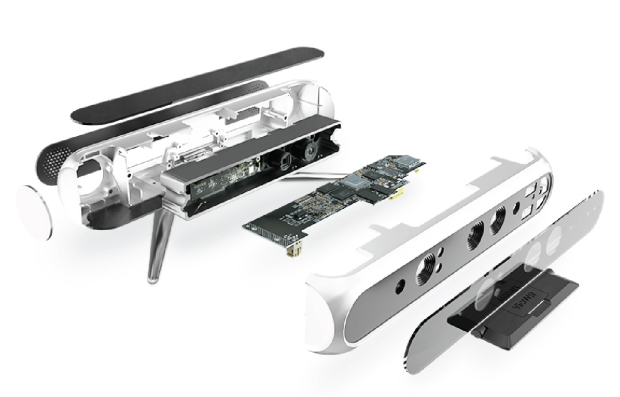 VicoVR sensor is similar to Kinect as it uses similar bundle of depth sensing technology and the body tracking SDK (middleware). The key difference is VicoVR Sensor’s embedded processing capability. Unlike Kinect SDK, which requires xBox or Windows PC for middleware processing, our proprietary middleware is executed inside sensor on embedded processing unit. Processing results such as real time user skeletal tracking data and gestures are sent then by Bluetooth to any compatible host device. 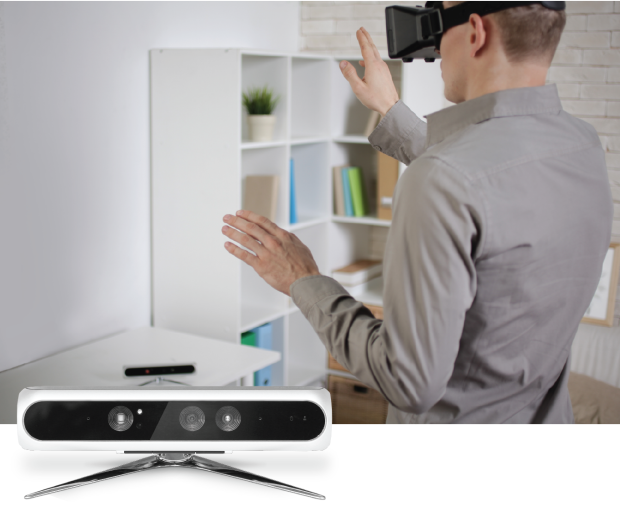 By offloading heavy image processing tasks from the host CPU, VicoVR Sensor makes full featured 3D motion control available on any Bluetooth enabled device. You can think of VicoVR Sensor as a new type of Bluetooth peripheral, which is especially perfect for emerging Mobile VR applications requiring full body tracking and gesture control. 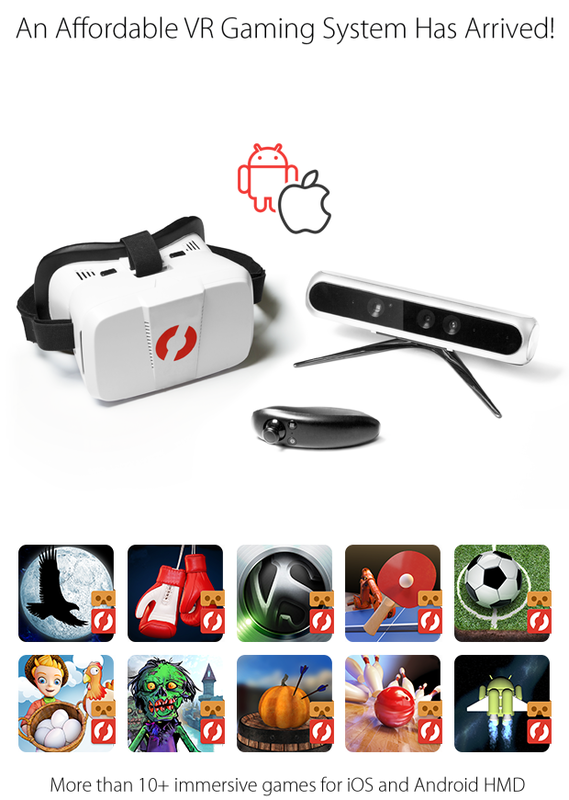 Q: Is VicoVR compatible with any headset other than “Google Cardboard, Samsung Gear VR and other Android HMDs”? A: VicoVR is Bluetooth peripheral compatible with any Android and iOS device. It means any Cardboard-type of headset can be used with VicoVR such as Homido, Liquid VR, View Master and others. Q: Does VicoVR enable Positional Tracking of Mobile VR headset (Android, iOS)? A: Yes! VicoVR wirelessly communicates Location Tracking data to Mobile VR headset, solving one of the key problems of Mobile VR. This feature works without any markers and not consuming any processing resource of Mobile headset. Q: How many skeletal joints are detected for person? Can VicoVR track more than one person? A: Yes, VicoVR can track upto two people simultaneously, detecting up to 19 body joints for each person. Q: Will it work for sitting poses? A: Yes, VicoVR skeletal tracking can work reliably for the standing case (full body) and for the sitting case (upper half body). Q: What if there are two players overlay each other, will VicoVR recognize it? A: Yes, VicoVR skeletal tracking can effectively separate users in case of overlay, but we recommend to avoid such cases in designing usage scenario for VicoVR. Q: What is the latency of tracking? A: Latency of skeletal tracking is 15 ms, latency of wireless transfer is 6.5 ms.
Q: I’m an Android VR Developer, can I get the VicoVR Devkit now? A: Yes! 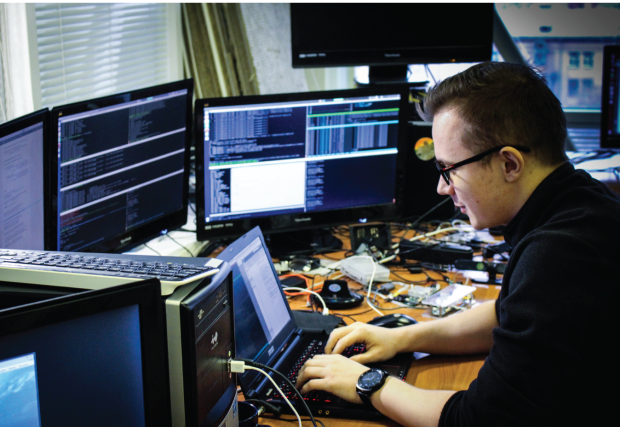 We have a Developer Program where qualified developers can get immediate access to VicoVR devkit prototypes and SDK. To request devkit prototype please fill form at www.vicovr.com/developers.Q: Can VicoVR be used with Oculus or HTC Vive? A: VicoVR was designed with primary focus on Mobile VR headsets (Android, iOS) and in its current version cannot connect to Windows PC. But this feature may be added later by means of firmware updates, without the need to replace sensor hardware. Q: What’s the range of the Tracking area? A: Tracking range is between 0.5 – 4.5 meters and is limited by the Field of View of Sensor which is 60 degrees (horiz.). Q: Is any option to try VicoVR before purchase? A: Yes! We are based in San Francisco and demo at all major VR events and meetups in the area and across US. Please follow us on social networks to learn our event schedule! If you are in the Bay Area, feel free to reach to info@vicovr.com to schedule an appointment. Q: Who develops application for VicoVR Sensor? When VicoVR is available later in 2016, apps for VicoVR Sensor will be available on Google Play, AppStore, or on Oculus Gear VR Store. Q: I am an Android VR Developer, can I get VicoVR Devkit now? A: Yes! We have Developer Program where qualified developers can get immediate access to VicoVR devkit and SDK. To join VicoVR Developer Program please visit our website. Currently over twenty Android developers already joined our developer program. VicoVR is attractive to Mobile game developers because our Unity3D/UE4 plugins allow them opportunity to quickly add full body control to their existing Android or iOS apps. Q: Do you provide SDK? A: Yes, we provide plugins for Unity3D, UE4 and C++ API. A: No PC is required. You need VicoVR Sensor and any Bluetooth enabled host device such as Android HMD, AppleTV, Android TV, or Android game console. Q: Can it be paired with iOS devices? A: Yes, consumer version of VicoVR can be paired with iOS devices. Q: Can VicoVR be used in non- VR applications? A: Yes, VicoVR as a Bluetooth peripheral can be paired with any Bluetooth compatible devices such as AppleTV, AndroidTV, or Android PC. 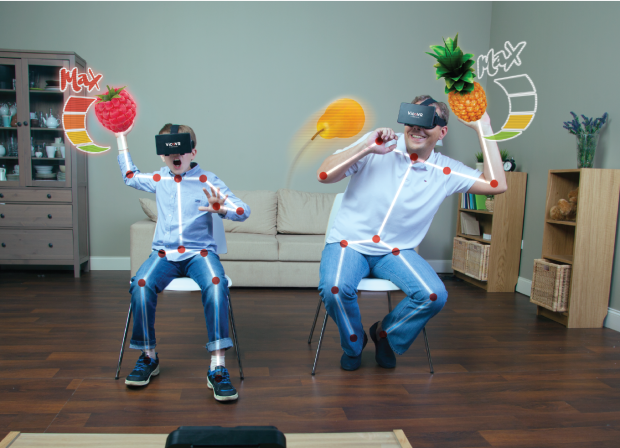 Kinect-like body tracking capability of VicoVR Sensor can be used in new generation of Mobile OS – based applications beyond VR, such as TV gaming, medical, security, or smart home applications. Q: Does Vico VR detect the physics (i.e. mass, gravity, and speed) of the gesture? For example, when playing Moon Bird, if I wave my hands faster & harder, will the bird fly higher? Q: I want to scan my room, can VicoVR do 3D scanning? A: This is perfect application for VicoVR but this feature will not be supported in the current version of VicoVR (we also not provide access to raw depth map to third party developers). But we are working on adding new features and capabilities including 3D scan capability. Adding new features to VicoVR in the future can be done easily by means of software upgrades. Q: If you turn off the lights, can VicoVR still sense you? Q:How does VicoVR use the RGB camera? A: VicoVR has RGB camera as part of its depth sensing module, but it is not used in the current version. 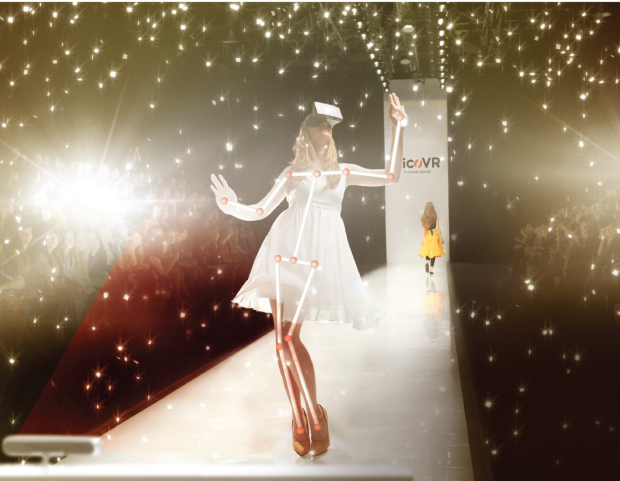 We reserve it for future applications of VicoVR, such as 3D scanning, live 3D holograms and the like. These features can be enabled in the future with VicoVR firmware updates using existing VicoVR hardware. Q: If my game/app is higher than 30 FPS will it delay, operate too quickly, and/or cause motion sickness? A: For good user experience in VR, the game should operate at least at 60 fps. VicoVR refresh rate is currently 30 fps, resulting in some latency on the part of body tracking and HMD positional tracking. As for latency of HMD orientation tracking, which we believe is the major source of motion sickness, it is defined not by VicoVR but by quality of IMU sensors of HMD. Q: Can I play popular VR games currently on the market using my VicoVR gaming system? 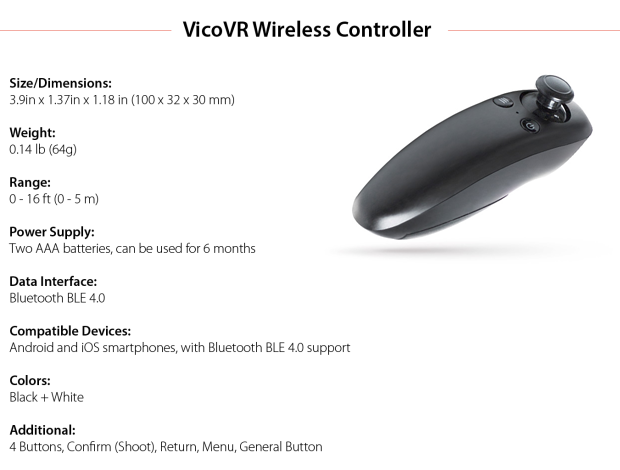 Q: What controllers are compatible with VicoVR? 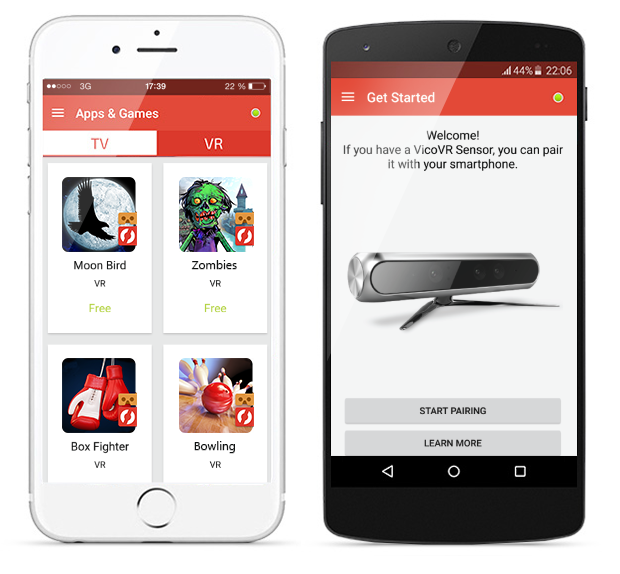 A: Developers are free to use any extra controller of their choice with VicoVR SDK. Q:Does Vico VR detect finger movement? A: We do not track individual fingers. Q: Does Vico VR support Voice Recognition? A: No, this feature is not supported and we have no plans for enabling it in the future. We think that your Mobile HMD is better suited to handle any voice recognition tasks. Q: Does VicoVR have physics implementation for hands and feet? A: While we have samples of body models as part of SDK, all Android VR developers are free to use any other models they like. Q: Does VicoVR track both position and orientation of HMD? A: No, VicoVR just tracks position of Mobile HMD by approximating body tracking data. Orientation of HMD is tracked by Mobile HMD itself with no influence from VicoVR. Q: Does VicoVR work well with bracelets, watches, sleeves, etc? A: VicoVR uses high quality IR based depth sensing module for tracking body. But, as usual in computer vision, we cannot guarantee fault free performance under any circumstances, especially with materials non reflecting IR (such as some types of fabric, watches, bracelets, etc). Q: Does VicoVR work outdoors? A: Current version of VicoVR uses IR based depth sensing module and it means VicoVR cannot work outdoor or indoor with a direct sunlight. Q: What data is sent from VicoVR to the Mobile Headset? Hand pointers (3D), Gestures (fist open/closed, swipes). All processing is done inside sensor, completely off-loading CPU of Android/iOS Headset! Q: I know that depth map based tracking cannot provide submillimeter accuracy of tracking – how accurate is your HMD’s positional tracking? A: Yes, 3D position tracking of HMD is based on just one head joint and cannot provide a comfortable experience because of some jitter. However, by having data of all other body joints apart from head, and taking into consideration body kinematics, there is an opportunity to significantly reduce jitter in headset location. We’re constantly working to improve perceived accuracy of headset tracking, and those improvements will be available via firmware updates, without the need to replace sensor hardware.Q: What is the Warranty? A: We provide a one (1) year limited warranty. 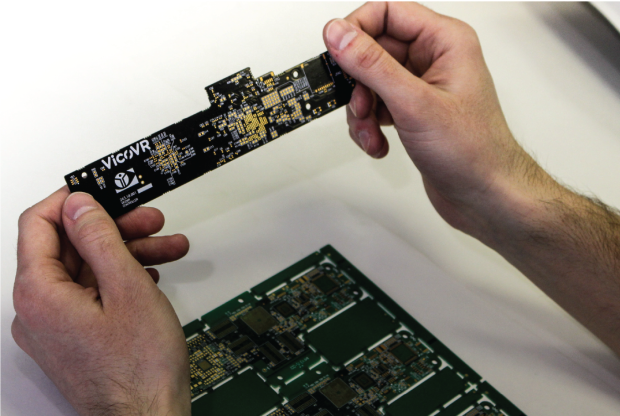 We guarantee you receive your VicoVR Sensor free of manufacturing defects. Q: Can I change or cancel my perk? Regarding cancellations, Indiegogo policies dictate that campaign owners have no ability to adjust perk selections. Backers can upgrade, change, or cancel their perks/rewards at anytime on their contributor’s profile until the campaign has closed. After the campaign has ended and funds have been disbursed, the campaigners will evaluate such requests will be handled on a case-by-case basis.